We've seen some pretty remarkable glitches the last few days with players escaping the confines of the map to explore Out of Bounds areas for possible DLC content. The Intrepid Aircraft Carrier is by far the best leaked DLC area so far though. Located on the western side of New York City within the Hell's Kitchen zone, the Intrepid is actually a real life Sea, Air and Space Museum which consists of the aircraft carrier USS Intrepid, the submarine USS Growler, a Concorde SST, a Lockheed A-12 supersonic reconnaissance plane, and the Space Shuttle Enterprise. 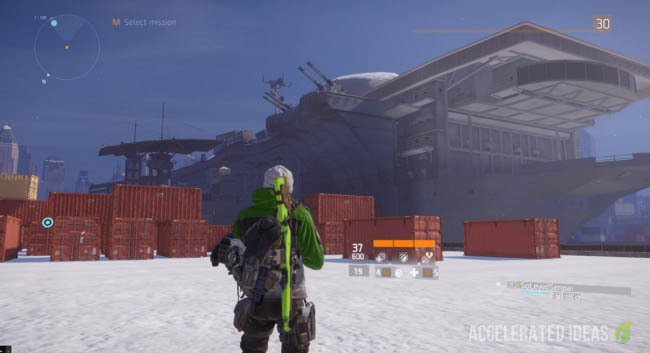 In The Division you can actually explore the entire area including boarding the Intrepid boat (which has been renamed to A01) by using a well placed rope. Inside you'll find a decked out ship which is even complete with loot chests (unfortunately empty at the moment). The ship appears to be under the control of the Last Man Battalion (LMB) which is clearly signified by the sheer number of symbols around the compound on things such as flags, vehicles etc. My guess is that this area is certainly going to be part of a paid DLC area simply because of the extensive size of the area and the amount of effort that's already gone into decorating it. There's a tonne of accessible points (ropes, corridors, hallways) that make it the perfect area for an Incursion event or something even bigger. The fact that the LMB are controlling the area would fit in nicely with the extension to the main story. 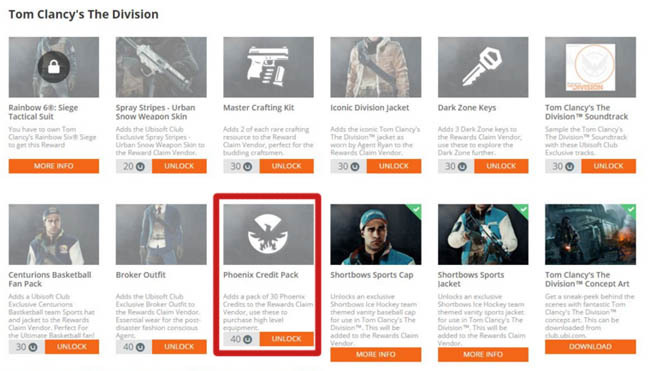 To reach this DLC area you can use what's known as a "boundary glitch" which forces the game to recalculate your position and nudge you over the edge. It's a classic way to abuse game boundaries and certainly isn't a new thing. Find a nice little corner on the edge of the world map preferably at the location shown on the map image below. Squeeze up tight to a corner with no left or right space to move. Place the Cover in front of you, blocking your immediately route out of the corner. Now deploy your Shield thus giving you even less moving space. Lastly execute a simple backwards roll maneuver to force your character outside of the boundaries. With any luck you'll see the Out of Bounds message in red on the screen. Don't worry you won't die or anything, you're just not supposed to be here! If you have trouble getting through, look for "thin" boundaries i.e. fences and gates rather than solid walls. Take a good look at the map image above. 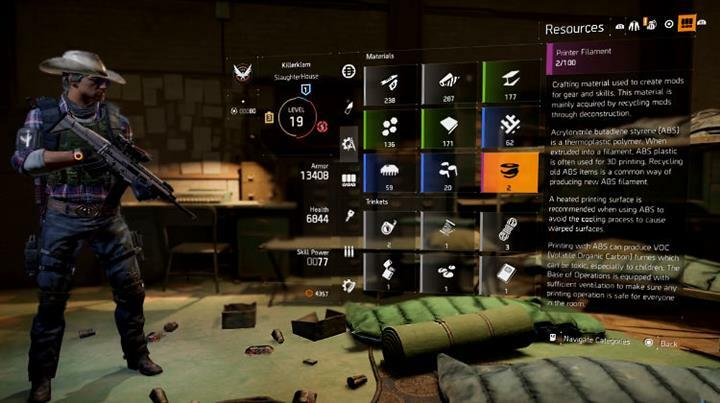 The area you're interested in is Hell's Kitchen - a Level 10-13 area on the western side of the map which is not far from the Base of Operations. Notice the diamond (blue) waypoint on the boundary? That's where you want to break out of the map. Use the boundary glitch at this location. Now take note of the other diamond (blue) marker. 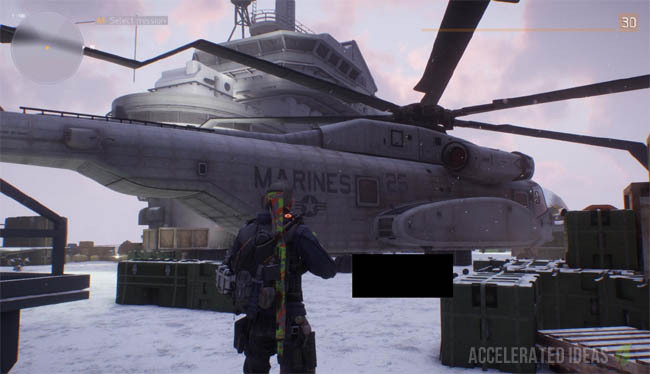 That's where the Intrepid boat is located and the extensive secret DLC area.